Quick announcement before we get into the post: my course “Successful Guest Blogging” is now open for registration. (The course begins on Monday 12th November and runs for six weeks.) If you’d like to blog for large sites, get your name out there, grow your own audience, sell your books, promote your freelancing services, or even get paid as a guest blogger … then this is the course for you. 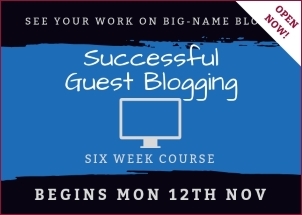 You can find all the details, including the full course outline, here: Successful Guest Blogging. Note: This post was originally published in July 2016, and updated in October 2018. Where do you get typically get stuck when you’re writing a blog post? 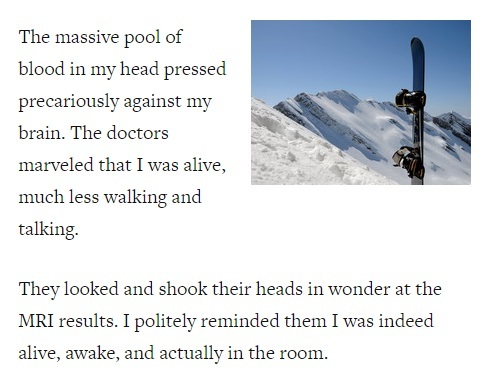 For a lot of bloggers, the first few lines of the post – and the last few – are really tough. You might have a perfectly good plan for what’s going to come later … but you just don’t know how to begin. One solution is to type anything to get you going. While that’s fine when you’re drafting, at some point, you’re going to need to come back and revise. Another is to skip the introduction and jump straight in with your first key point. Again, that’s a great way to get moving … but it doesn’t really solve the problem. You’re still going to have to write that introduction at some point. Beginnings and endings matter, and it’s important to get them right. The first few lines of your post draw the reader in and, ideally, set the tone for what’s to come. The final few lines are a crucial opportunity to ensure your post makes a difference. 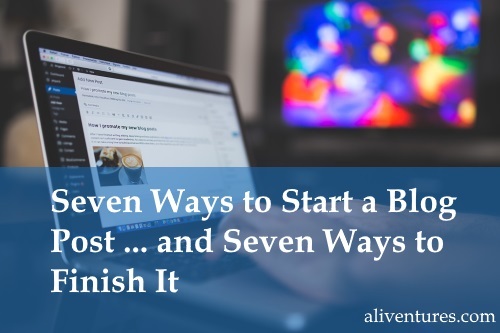 I’m going to take you through seven different ways to start a blog post, and seven ways to finish it – with examples from a bunch of blogs. Note: You can use more than one “start” or “finish” technique in a single post (as you read through, you’ll probably spot that some of the examples do this). To begin with, though, you might want to focus on just one at a time. I’ve ordered these from the more common and straightforward methods to slightly more advanced ones. This is a simple and pretty much foolproof way to begin any blog post: ask a question. Normally, you’ll want the answer to that question to be “yes” – you’re demonstrating that you know what your reader is going through. 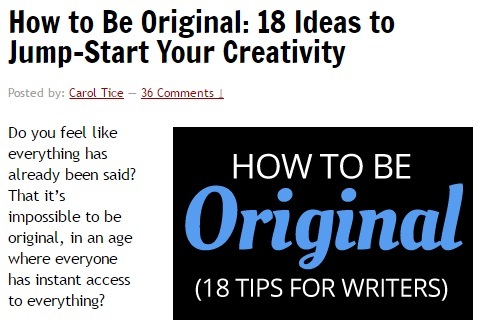 In this example, Carol gets straight to the point of her post: that many writers struggle because they’re afraid they don’t have any original ideas. Some of my favourite posts have come from readers’ questions. If you ever get questions from your readers – in comments, by email, in a survey – then these are fantastic starting points for blogging. By putting the question up front, you present your post as a dialogue (generally much more interesting than a monologue!) – and you provide a focus not just for your readers but also for yourself, as you write. Quotations can be a great jumping-off point for your own work, or a way to frame your post as part of a larger conversation. You might use an inspirational quote, or choose something less well-known. If you’re quoting another blogger, it’s good practice to link to their original post – especially if you’re quoting at any length. This example is from my friend Barry Demp’s blog (which is essentially an archive of his mailing list). He has a huge collection of great quotes and picks one each day to write about, offering his thoughts plus a practical exercise. 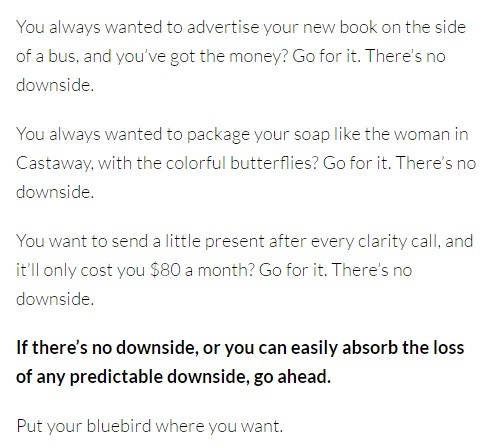 Of course, you might not want to build your whole blog – or even a whole post – around a quotation, but this is a great example of how powerful quotes can be. Numbers get attention, which is why they’re often used in blog post headlines (and on magazine covers). A statistic that gets readers to raise an eyebrow will often draw them into your post – they want to find out why that statistic is true, and/or why it matters. This statistic wasn’t particularly surprising to me – I’ve been using WordPress for eight years now, and I know it’s an incredibly popular platform for all sorts of websites, not just blogs. Most people, though, won’t know much about WordPress and they’ll want to read on to find out just why it’s so popular … and whether they should be using it too. Opening your post with a story, or a little slice of your life, can be a great way to quickly connect to a reader. It draws them in, but it’s also a chance to let them know a little more about you, your life, what you do, what your values are, and so on. If you’re a fiction-writer, you may well have come across the term in media res before – it’s Latin for “in [or into] the middle of things”. 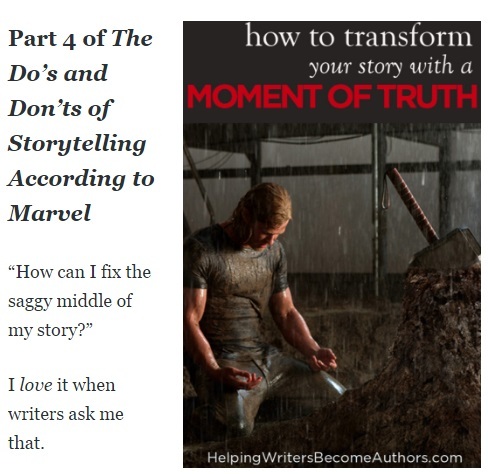 It means starting a story at an exciting action point, not with all the lead-up to that point. For bloggers who have more personal, diary style blogs, or who are writing personal essays, this can be a particularly good way to begin posts. Here, Brian Clark jumps right into the story (if you read the full post, he backs up later on and explains what led up to this point). It’s a dramatic, arresting start to a post – who could resist reading on, on after that opening line? One sure-fire way to get attention is to say something bold and controversial. I’ve put this last in the different openings, because it’s easy to get wrong – and it’s not generally a technique I’d advise if you’re very new to blogging. If you’ve mastered some of the other forms of opening, though, and if you’re sure you’ve got the facts (and potentially the credibility) to back up your statement … go for it! 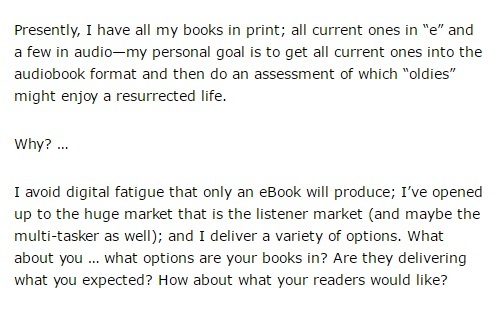 Here, David makes a very clear statement about Amazon, the biggest e-book retailer. Granted, being critical about Amazon isn’t necessarily super-controversial these days … but saying “sometimes [Amazon] gets things very wrong” is bold and sure to get attention. David goes on to present a ton of evidence for what he’s saying, and towards the end of the post, he’s included updates based on Amazon’s responses to him. 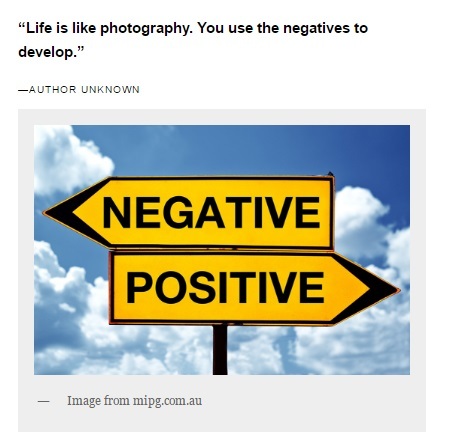 Which leads me on to … what final impression are you giving the reader at the end of your post? When I’ve done blog post reviews in the past, one of the most common mistakes I’ve seen is not ending a post properly. 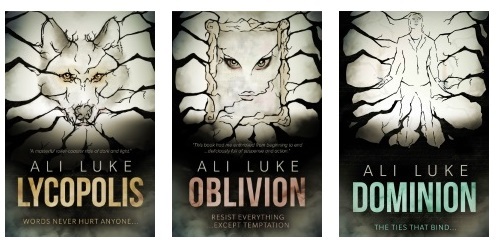 In fact, some bloggers don’t seem to think about the ending at all … they just stop. That’s sometimes jarring for the reader and, almost always, a wasted opportunity. Here’s how to finish your post on a strong note. Again, I’ll work from the easiest, most common ones to the more advanced options. This is a really easy way to end almost any blog post (and some bloggers pretty much exclusively use this technique). Some readers won’t think of commenting unless you prompt them to do so. This technique can get a little over-used, though, and you may find readers respond best if you mix it up with other types of endings. 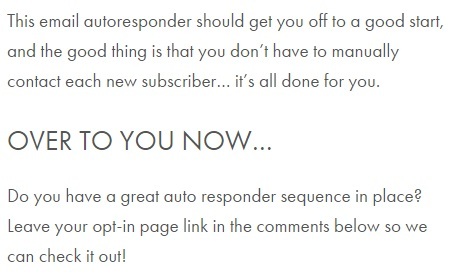 Nathalie offers a very specific call to action here, with “over to you now” – opening up the conversation – and clear instructions on what to do (“leave your opt-in page link”) and where to do it (“in the comments below”). Quick tip: If you are inviting people to leave links, make sure your blog isn’t set up to automatically moderate – or worse, send to spam – any comments that include a link. We’ve already covered starting posts with a question – and it can be very effective to end them with one, too. You might want to use an open-ended question (i.e. not one with a yes/no answer) to help readers really engage with it. This technique can be – and often is! – used in conjunction with asking for comments, but simply giving questions to think about can be just as powerful. While readers may well view these questions as an invite to comment (which is perfectly fine), they also offer food for thought to readers who aren’t inclined to comment. They encourage deeper engagement – readers might spend a few minutes thinking about the post, or they might bookmark it or share it so they can work through the questions at more length. If you’ve written a long post (say, 1,000 words or more), then it’s often a good idea to finish with a quick summary. This doesn’t have to be a recap of what you’ve said – you might want to summarise what you consider to be the most important point, or you might want to draw the post back to something you wrote near the beginning. Naomi gives three highly specific examples here of potentially “silly” marketing ideas, emphasising and re-emphasising her point that it doesn’t matter whether your idea is silly or not: if there’s no downside, why not give it a try? It’s a clear, empowering end to the post, and it helps give the reader one key message to hold onto. If you’ve been blogging for any length of time, you’ll find yourself covering topics that have some overlap with things you’ve written about in the past. It’s well worth pointing readers to older posts: new readers probably won’t have seen these, and the more posts someone reads, the more engaged they’ll be with you and your blog. 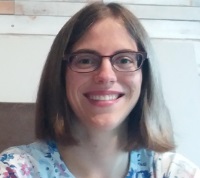 Lindsay introduces the links (“here’s that interview and a couple of links to helpful articles…” then presents them in a simple, clear list, giving the title of each post. Unless you were even swottier than me in school, “homework” probably doesn’t sound super-appealing. As a blogger, though, you’ll often be trying to help your readers accomplish something … and they’re not going to make much headway simply by reading your posts. They need to take action, and the end of your post is a great opportunity to give them a particular task to tackle. 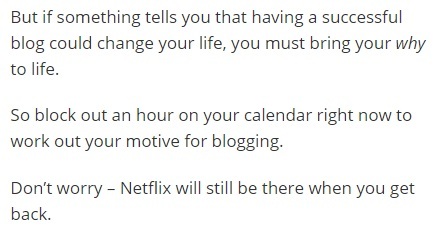 Glen gives a very specific piece of homework: “block out an hour on your calendar right now to work out your motive for blogging”. Of course, readers might choose to do something different – maybe they’ll spend ten minutes brainstorming, or share their answer in the comments – but this at least gives them a clear starting point. This one can overlap with a summary: sometimes, the main thing you want to leave the reader with is a sense of encouragement or inspiration. The point of your post is to leave them feeling more confident about something, ready to take action – or perhaps ready to change their mind. 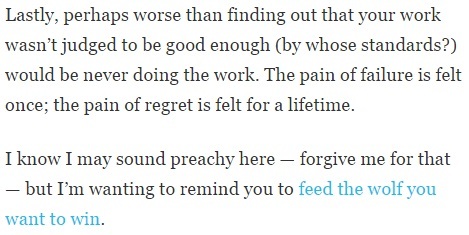 While Charlie’s words about pain and regret might not seem conventionally “inspiring”, they’re honest. They help readers frame a key worry (“what if I’m not good enough?”) differently. Surely it would be better to try, even if that means risking failure … instead of not trying at all. Obviously, this one only works if you actually have something to sell! If you’re blogging purely as a creative outlet – or if you’re new to blogging and have yet to create products or establish yourself as, say, a freelancer – then this won’t yet be an option for you. Once you have a product (or a service) to promote, though, do make sure you regularly remind your readers of it – and don’t assume that they’ll be checking out your navigation menu or your sidebar links. This is a simple, straightforward example of how to include a product link. 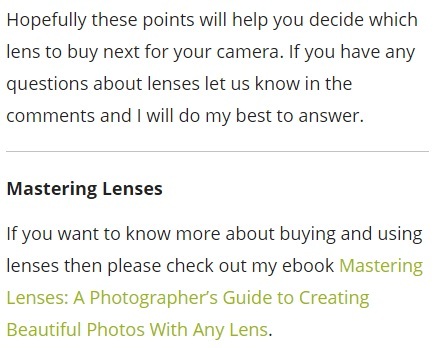 Andrew chooses a product that has a clear relationship to the post – it’s about digital camera lenses – and gives a clear link and call to action (“please check out my ebook”). When you plan and write posts, it’s worth thinking about how they might tie in with products or services that you sell. Ultimately, there’s no one “right” way to start or end a post: what matters is choosing something that (a) works for you as a blogger (keep it simple while you’re getting to grips with these different techniques) and (b) works for your reader (don’t constantly promote expensive products if you haven’t yet built up much trust with your audience). Next time you sit down to plan a blog post – or next time you schedule content for your blog – spend a few extra minutes thinking about how you’ll grab the reader at the start, and how you’ll make sure your post continues to resonate with them once they’ve finished. If you’d like to take your blogging further and get your name out there onto large blogs in your topic areas, don’t forget to check out Successful Guest Blogging. The course begins on Monday 12th November, but registration closes on Friday 9th November (so everyone has a chance to get settled in). As soon as you join, you’ll get your Welcome Pack with the full course schedule and everything you need to know, plus your link to our private Facebook group where you can start getting to know other members. You can find all the details here: Successful Guest Blogging. An extremely inspirational read! I love that you shared all these real-life examples. This is probably the most throughout post I’ve read on writing an introduction and conclusion. You showed how there isn’t one blueprint but a bunch of ways to effectively deliver a post from raising curiosity to getting personal with a story. I learnt a lot in and can tell how much you are passionate about writing. It’s admirable. I love these – up until now I always just followed the AIDA formula (Attention, Interest, Desire, Action) , but these will definitely add some variety to the way I formulate my posts. Thank you! Well said, Jason. Personally, I’m a little bored of reading posts that follows the AIDA formula since there are so many. Formulas are handy, but as Anh says, they can end up getting a wee bit repetitive! This should be my first comment on your blog. I’ve been a visitor for a while. Thanks for this piece, it helped cement some old lessons and taught me new ones. Thanks for sticking around and for taking the time to comment — it’s really appreciated. So glad this post was helpful for you! Love it – and you even took a different angle on this blog post by combining what other bloggers would have made two separate blog posts out of. This is a really quick way to get eyes on a page, and you can be contrarian without being clickbaity. Which is good considering how social networks are starting to treat that style of content. Haha, thanks! It’s easy to think of the start and end of a post as two entirely separate things, but I think they’re often best considered together — like bookends. Yes, I think being controversial for the sake of clickbait is always best avoided.